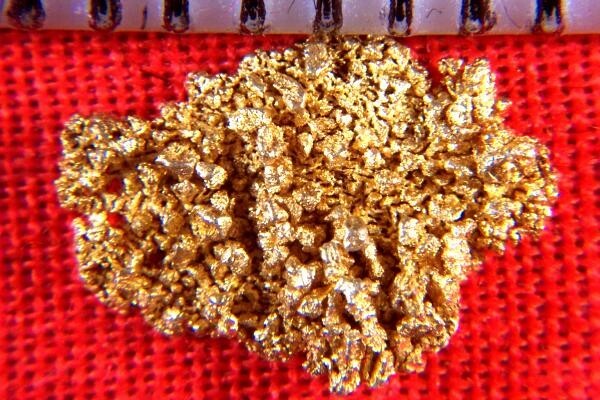 This spectacular and rare gold specimen is a mass of well defined gold crystals. Under magnification, you can see the incredible distinctly formed octahedron crystals. 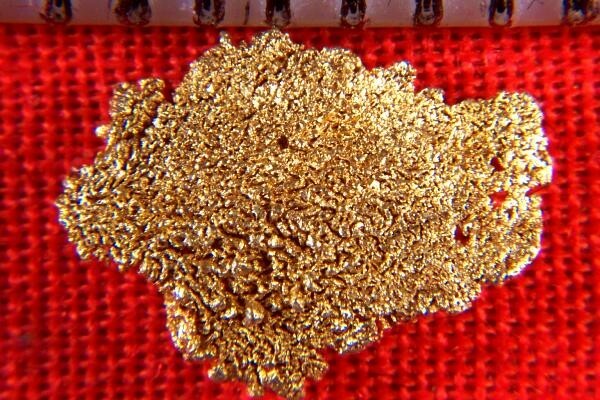 This spectacular gold specimen is from the Round Mountain Mine in Nevada. It is over 3/8" long (10 mm). The weight is 5.1 Grains (0.33 Gram).